Honey Bear is a calm, relaxed dog. 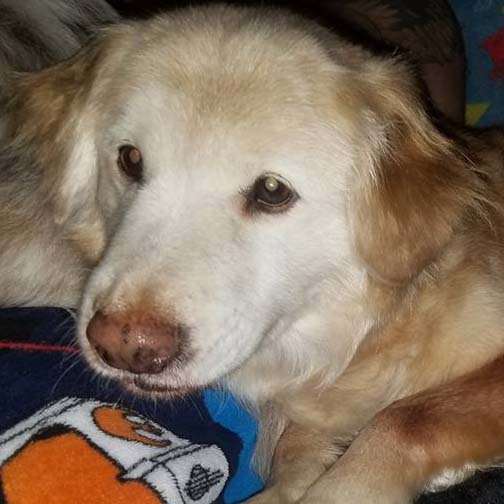 She is an eight year old golden retriever mix who would make a great companion for anyone. Honey Bear is potty trained and crate trained and loves to spend time with her human. Last PostRoxanne – AvailableNext PostCinnamon – Adopted!